NHL News : McKenzie reports on a potentially huge offseason trade for the Leafs! McKenzie reports on a potentially huge offseason trade for the Leafs! This is apparently more likely to happen than you think! The Toronto Maple Leafs are getting ready to take on the Boston Bruins once again in the first round of the postseason, however, general manager Kyle Dubas also has to get prepared for a tough offseason ahead. As we all know, the Maple Leafs are facing quite the financial puzzle this offseason with many pending free agents to re-sign. William Nylander’s holdout concluded with a six-year, $45-million deal and Auston Matthews inked an extension that will see him count for $11.634 per year through 2023-24… There is quite a bit of worry that the Leafs can’t afford to keep the team together in Toronto. On Tuesday night, TSN’s Bob McKenzie came forward with an interesting speculation, claiming that the Maple Leafs could explore moving Nikita Zaitsev and use money that is earmarked for him on Kapanen, Johnsson, Marner or whomever. While some teams would be willing to acquire Zaitsev, who is a good defenseman, his salary cap is far from reasonable. Zaitsev is making $4.5 million, which is way too steep a price for a non-scoring blue liner who isn’t playing on the top four and basically just kills penalties. 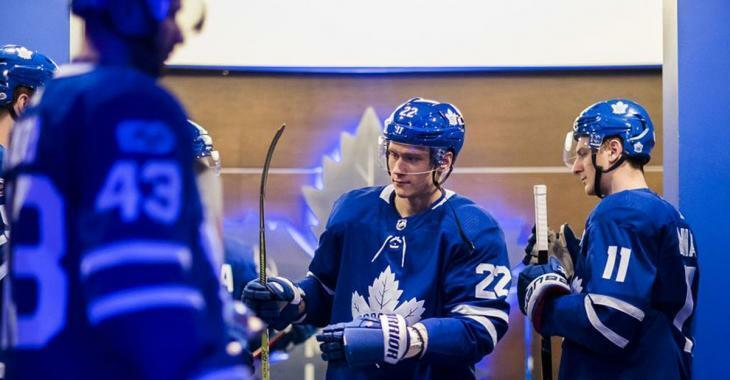 It remains to be seen if the Leafs would have to retain salary in a potential Zaitsev trade, however the ultimate goal is to move him and keep the money to be able to pay some free agents they absolutely need to keep. There is little worry about the blue line in Toronto as it will be led by Morgan Rielly, Travis Dermott and Jake Muzzin. The Leafs will also be able to count on a number of young and promising defensemen from the system that will move up from the AHL’s Marlies. McKenzie is usually right about these things so it might be the last “season” in Toronto for Zaitsev as the Leafs kick off the playoffs Thursday night.